Paperweights made from the rubble of Glasgow's famous Rottenrow Maternity Hospital were snapped up at £10 each - often by people who were born there. The one-inch stones come with an imprint of a baby's face and "Rottenrow 1834-2001" round the edge. The Royal Maternity Hospital, located in Rottenrow for over 160 years, relocated to new, state-of-the-art premises in the Glasgow Royal Infirmary in Autumn 2001, the site having been acquired by Strathclyde University earlier that year. The various buildings on site, located in the heart of the University's campus, were in too great a state of disrepair to be renovated; instead, commemorative stonework is being saved for use in any new building. Demolition began in May 2002. The Glasgow Royal Maternity Hospital was founded in 1834 in Greyfriars Wynd as the Glasgow Lying-In Hospital and Dispensary. 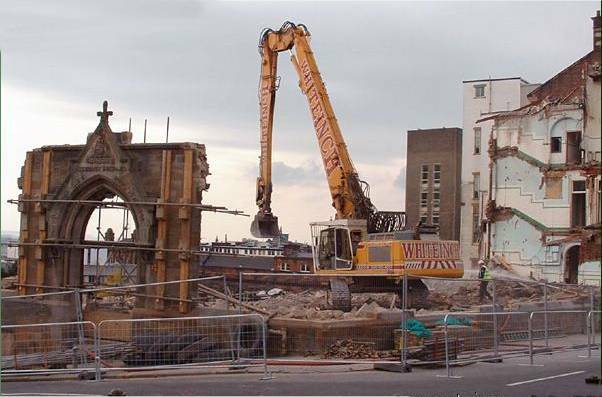 It moved to St Andrews Square in 1841 and in 1860 to the Rottenrow: it has been nicknamed "The Rottenrow" ever since. Completely new buildings were erected on the Rottenrow site in 1880/81 and a substantial extension added in 1908. These buildings had a bed complement of 108 beds and contained a large lecture theatre and operating theatre for clinical teaching purposes. The title Glasgow Royal Maternity and Women's Hospital was granted in 1914 and the present shorter version adopted in 1960. At the reorganisation of the National Health Service in 1974 the hospital was placed in the Eastern District of the Greater Glasgow Health Board and from 1993 it was under the Glasgow Royal Infirmary University National Health Service Trust. In 1996 the Western Regional Hospital Board decided that the hospital should be replaced. In 1998 a move to new premises at the Glasgow Royal Infirmary seemed likely. 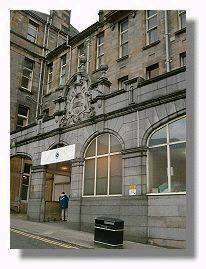 and the hospital was relocated to new, state-of-the-art premises in the Glasgow Royal Infirmary in Autumn 2001. Extract from e-mail, July.2003, Marion Forte (nee Cookman), Australia. "I thought a picture of the Rottenrow might be alright for your website as a lot of us were born or had our weans there!"